A test order placed on your website by your web developer. Now in order to maintain accuracy in your ecommerce reports, you would want to remove all the test/cancelled/unfilled orders from Google Analytics. You can do that by reversing ecommerce transactions. then firing the ecommerce code. But all of this require the help of a web developer and is time consuming. 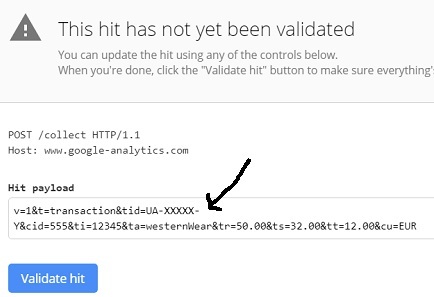 Today I am going to show you, how to remove/modify any ecommerce transaction in your Google Analytics report, in just one click and that too, all by yourself, without taking the help of a web developer. 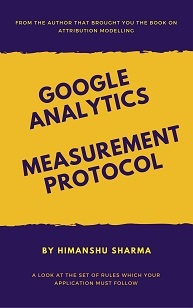 For this purpose, we are going to use Google Analytics measurement protocol hit builder. But don’t let the measurement protocol scares you. It is easier than you think. Step-1: Make sure you have the ‘Edit’ permission at the GA account/property level. 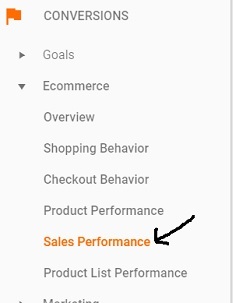 If you want to remove a test transaction, then navigate to the ‘Sales Performance’ report in your GA view and find the ID of the test transaction. Once you know the transaction ID, make a note of it. 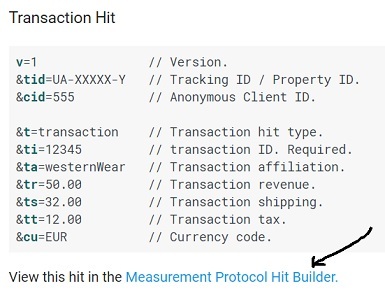 You will need this ID later, when using the measurement protocol hit builder. v => Version. 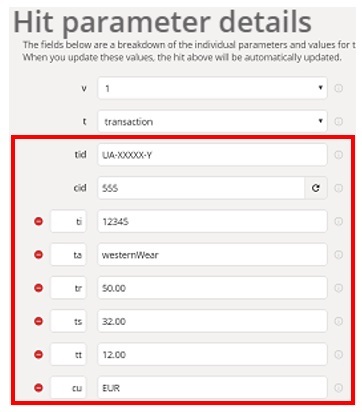 The value of this parameter is always 1.
t => transaction hit type. 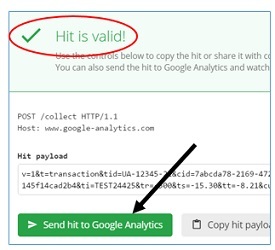 Example of other hit types: pageview, screenview, event, item etc. cid => Anonymous Client ID. Example: 555 or any alphanumeric number. Note: You can use any string as client id (cid). 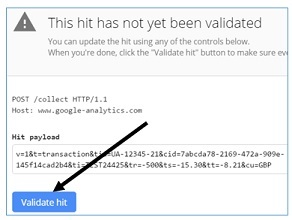 Step-7: Click on the ‘Send hit to Google Analytics’ button, to send the transaction hit to GA.
Step-9: Wait for at least 10 to 15 minutes, before you proceed to check your ‘Sales Performance’ report in GA and search for your test transaction. 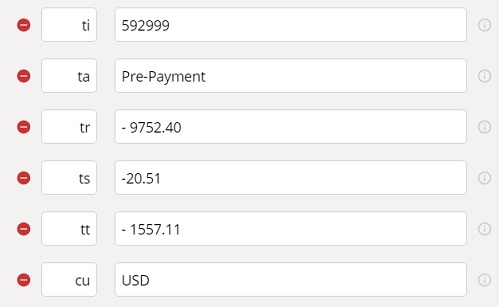 If the test transaction was placed on the very same day you removed it then you would no longer see any entry for your test transaction in the ‘sales performance’ report. So for example, Let’s say a test transaction was placed on June 30 and you removed it on Oct 26. Now if you see the GA report for June 30, you will still see the entry for the test transaction. Similarly, if you see the GA report for Oct 26, you will see the new entry for the reversed transaction. So it may look like nothing changed and you end up getting one more entry for the same transaction. But if you see the GA report from June 30 to Oct 26, you will notice the total amount associated with the test transaction is $0. So what you basically removed when a test transaction is days/weeks/months old is the total amount associated with the transaction. Use the same method to remove any transaction from GA.
Now let us suppose, the transaction that you want to remove, does not have any shipping and tax amounts associated with it. In that case, do not pass shipping and tax amounts in your transaction hit. &cid=4552423 // Anonymous Client ID. However use the measurement protocol hit builder tool with extreme caution, as you can very easily skew your ecommerce data, if you are not sure what you are playing with.